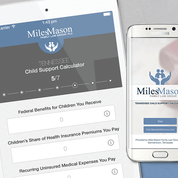 Download our free Child Support Calculator App on iTunes and Google Play. Tennessee child support modification case summary on private school tuition expenses in family law. At the time of their 2012 divorce in Shelby County, Tennessee, the mother and father were the parents of three children, ages nine, five, and three. They agreed to a permanent parenting plan naming the mother the primary residential parent, with each parent having 182.5 days of co-parenting time. The plan also specified that if the father elected to pay private school tuition, then he would bear all such expenses for all three children. At the time of the divorce, the father’s gross monthly income was listed as $6,667, with the mother’s set at $5,000. Based on these figures, the father was ordered to pay $325 per month in child support plus $112 per month for health insurance premiums. In 2017, the mother came back to court asking for an increase in child support. She had recently received a copy of the father’s W-2 form showing an annual gross income of over $269,000. Also, she noted that the eldest child had expressed a desire to live primarily with her. She also argued that the cost of health insurance had increased to $158 per month. Based on these figures, she argued that child support should increase to $2,049 per month. The father, cited changed circumstances, also made a petition requesting that the mother be responsible for a portion of the private school expenses. The father also noted that his base salary was $93,000, and that his total income would fluctuate. After hearing the parties’ testimony, the trial court issued its order. The court agreed with the mother that there was a significant variance in income. After looking at the father’s income over three years, it set the average monthly income at about $20,000. The court found that the tuition expense was about $2,000 per month. It assigned this amount to both parents, but in computing the child support, the court listed the tuition as a “work related childcare” expense of the father, which had the effect of reducing the support obligation. The court ultimately set the child support at $1,265 per month. The mother then appealed to the Tennessee Court of Appeals. The mother argued that the lower court had erred in listing the tuition as a “work related childcare” expense. The appeals court agreed. It noted that under the permanent parenting plan, the father essentially had discretion to decide on the private school. As a matter of contract interpretation, the court read the agreement to place the burden for this tuition on the father. Therefore, it held that the lower court’s contrary interpretation was in error. It also noted that there had been no finding of material change of circumstances as to warrant departing from the plan. For these reasons, the Court of Appeals held that the apportionment of tuition expenses was error, and that it was also error to denominate them work related childcare expenses. Therefore, it reversed this portion of the judgment. After addressing health insurance premiums and attorney fees, the Court of Appeals remanded the case. No. W2017-02447-COA-R3-CV (Tenn. Ct. App. Nov. 19, 2018). To learn more, see Child Support Modification in Tennessee | How to Modify Child Support. See also Tennessee Parenting Plans and Child Support Worksheets: Building a Constructive Future for Your Family featuring actual examples of parenting plans and child support worksheets from real cases available on Amazon.com.